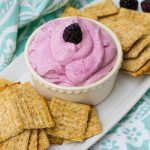 Blackberry Toasted Marshmallow Dip, fresh blackberries are mixed with cream cheese, toasted marshmallow fluff and served with Triscuit crackers, a perfect sweet and salty bite! Plus video! 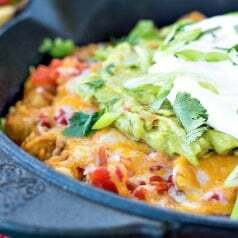 I love experimenting with dips. Especially dessert dips. I love it when I can get that perfect sweet and salty bite! 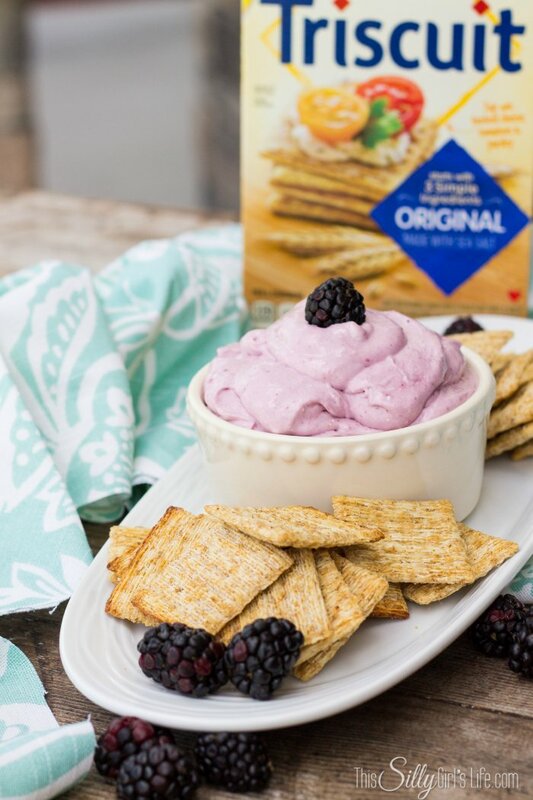 Toady’s recipe is just that, using Original Triscuit crackers as a salty vehicle for a sinfully sweet summery dessert! All berries are bursting right now and just calling my name to be made into so many delicious recipes!! I got the inspiration for my Blackberry Toasted Marshmallow Dip from Wondermade Marshmallows! 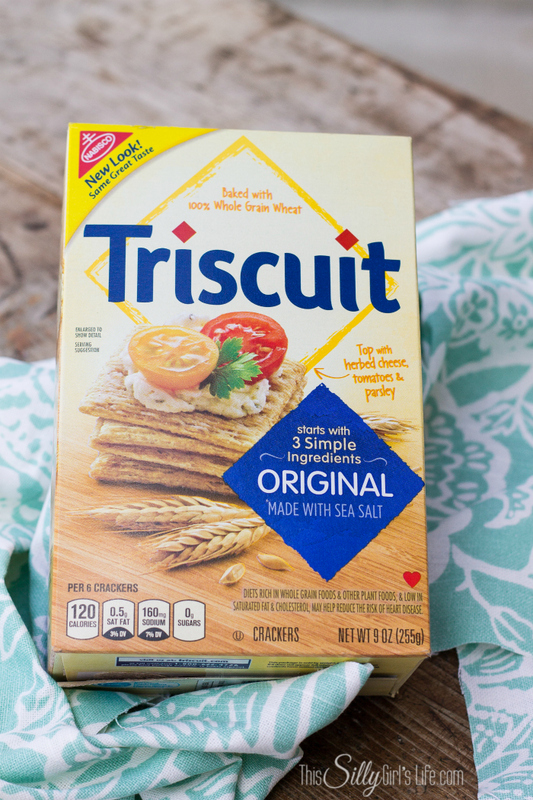 If you weren’t aware, Triscuit wants everyone to know they are more than just a boring cracker with the “Makers of More” program. The Makers of More have come up with their own recipes. I’ve always had a thing for marshmallows of course I want to share about Wondermade Marshmallows! They came up with a Blackberry Marshmallow to pair with Triscuit crackers. They say they taste like “sweet magic air” and recommend putting their Blackberry Marshmallows between two Triscuit crackers (suggested serving size) for fun mini mallow sandwich treat! I put a spin on Nathan and Jenn’s (Wondermade Marshmallow’s owners) Blackberry Marshmallow with this fun dip! 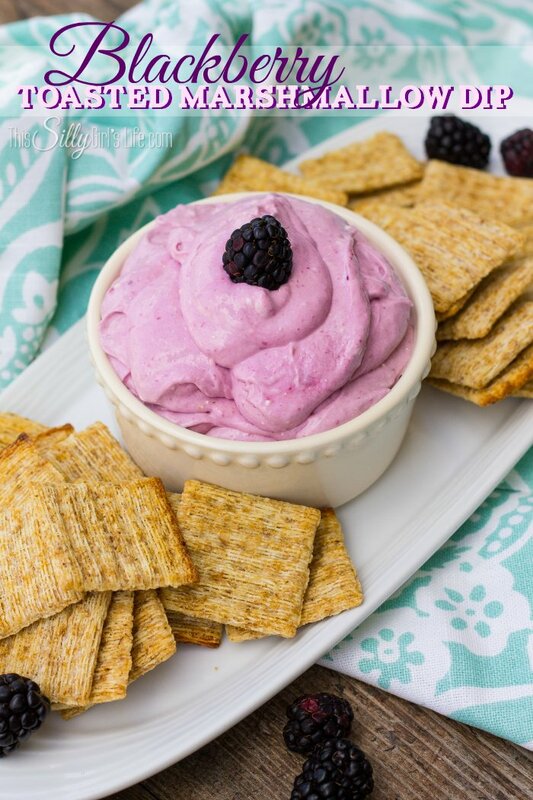 Blackberry Toasted Marshmallow Dip, fresh blackberries are mixed with cream cheese, toasted marshmallow fluff and served with Triscuit crackers, a perfect sweet and salty bite! Preheat broiler on oven. 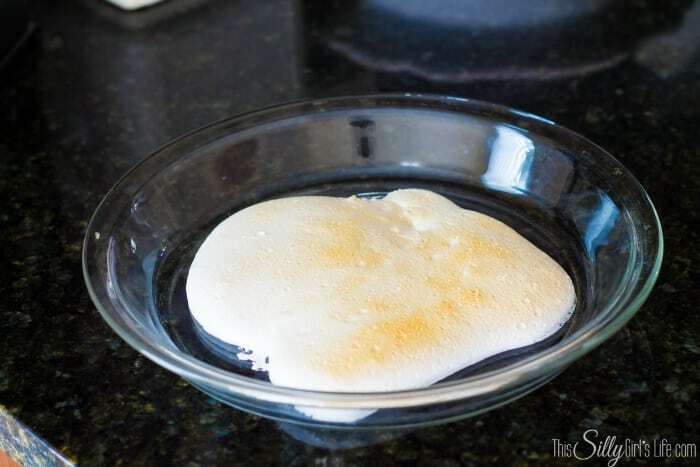 Place half of the marshmallow creme in an oven safe dish. Place under broiler and let toast to your desired brownness. Keep an eye on this!! 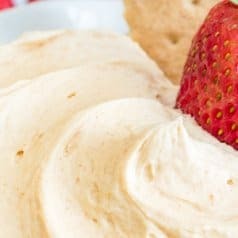 Place cream cheese in a large bowl, add remaining mashmallow creme and toasted marshmallow creme. With a hand mixer, mix to combine. Place blackberries in a blender and blend until they form a liquid. Place liquid into a fine mesh colander over a bowl. Press out juice with the back of a spoon. Discard seeds. Pour juice into cream cheese mixture. Mix with a spoon until combined. Serve with Triscuit crackers, enjoy! I toasted my marshmallow creme to a nice light golden brown. It will have a crisp shell on top, feel free to brown it as much as you prefer! 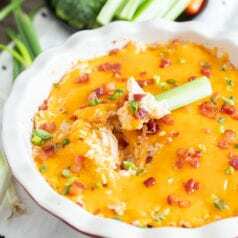 It just gives an extra level of flavor to the dip, this part is totally optional! Check out this short video I made while preparing today’s recipe! Or, you can view the video directly on YouTube by clicking here! Served with Triscuit crackers, this will be a huge hit at your summer party!! 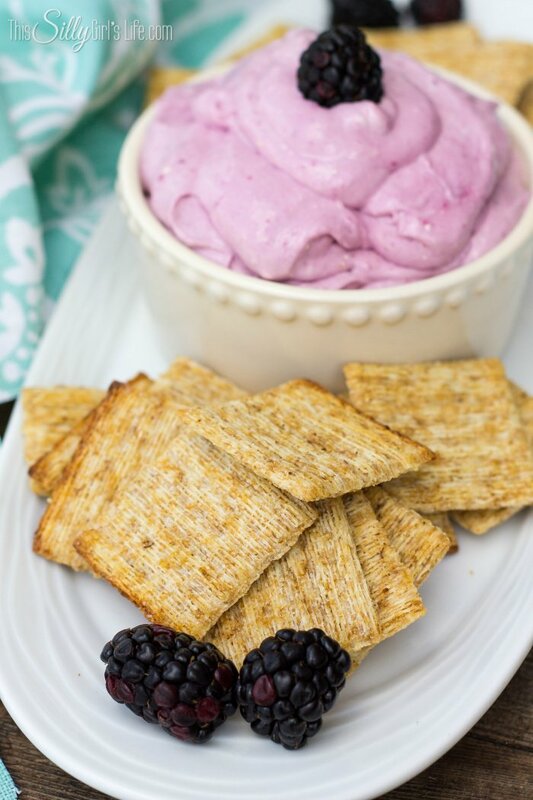 For more fun recipes that use Triscuit crackers, visit their Pinterest page! There you can find more information on the Makers of More. I really hope you enjoyed today’s recipe! Dana – This looks incredible! Pinning! Thank you so much for sharing with us each week at Brag About It!